Three Manchester City stars have been placed on the 50-strong shortlist for 2017 UEFA Team of the Year, which, like in other years, will be determined by a fan poll on the UEFA website. Sergio Agüero, Kevin De Bruyne and Benjamin Mendy have been nominated based on their performances in European competitions over the last year. 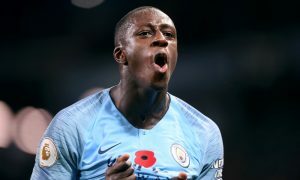 Kun and De Bruyne were part of City’s Champions League campaign last season, while Mendy shone for Monaco and was part of the side that eliminated City from the 2016/17 edition of the competition. You can select your team for the award, using various formations, on the UEFA website. Manchester City have never had a player voted into the UEFA Team of the Year – could this be the year that changes?